This document will walk you through each of the different methodologies in order to provide you with all of the details you need in order to integrate conversion tracking into your Blitzen forms. In all cases, you will be able to find and adjust your tracking information for a given form by navigating to the Publishing section, and then scrolling down to Tracking. 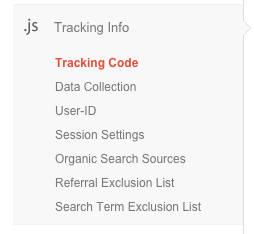 In order to track form opens and submission events in Google Analytics (GA), all you will need is your tracking ID. Important: this will only work if you are using Universal Analytics. See here for details on upgrading your google analytics tracking if you are not already using Universal Analytics. In order to access your tracking ID, you will want to navigate to the Admin section of google analytics, and then click on Tracking Info, followed by Tracking Code, under the property you want to use with your Blitzen form. In this case, the ID is UA-49782153-1. Copy and paste this ID into the input field for Google Analytics. By adding your tracking ID to a Blitzen form, you will be able to track form opens and form conversions (events) in Google Analytics. 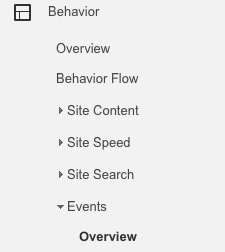 In order to view the form conversion events in Google Analytics, navigate to Behavior -> Events -> Overview. From there, assuming you have implemented your tracking ID on a form, you will be able to see all conversion events which will be labelled as 'blitzenForm'. In the case where you have multiple forms with Google Analytics tracking enabled, you will want to look at the event label in order to differentiate between the different forms. Setup for Google Adwords is slightly more complicated that a basic Google Analytics setup, so this guide will assume that you know the basics of creating Adwords campaigns. Our Google Adwords conversion tracking section is intended to be used specifically with tracking clicks. See here for details. 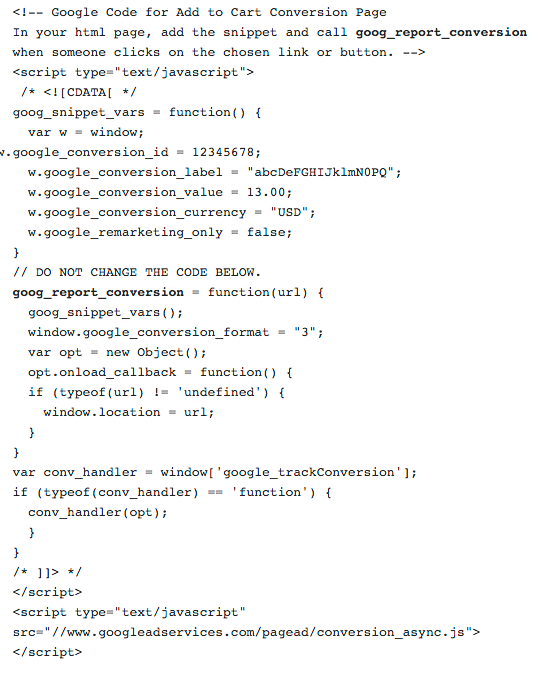 The reason we have configured conversions to be triggered by clicks and not by opens (typical with landing pages) is because we want to provide an experience where you don't have to manually embed any code onto your website, and it also allows for conversions to be tracked in the case where you directly link your users to our forms. note: the conversion id, as well as the conversion value must be numbers. If you want to link a Facebook ad directly to your Blitzen form, you can enter your pixel ID here. Important: this is for a Facebook Pixel campaign, and not the deprecated Conversion Pixel campaigns. By adding a pixel ID, you will be able to track both views (form opened), and leads (form submitted) within the Facebook ad manager. In order to get the Pixel ID for the ad campaign you wish to run, you will need to look at the Pixel code and pull out the number inside the fbq('init') function. In the code snippet below, the number you would be looking for is 1681597832125247. If you need help with setting up Facebook Pixel, please refer to this resource.